The Film Detective announced this past week that ten new film restorations will be ready for a DVD release on Oct. 04. They are an eclectic mix that includes a pair of Western entries from the 1930s. 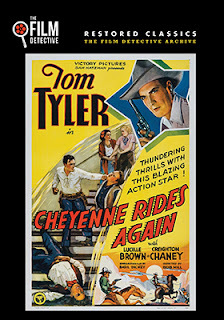 Direct Robert F. Hill’s 1937 film release of Cheyenne Rides Again, starring Tom Tyler as Tom “Cheyenne Tommy” Wade is the first of these. The release of this fast-paced Western was so successful theatrically that Tyler was recruited to reprise his Tom Wade persona in four additional films. Lucile Browne (Tumbling Tumbleweeds, Rainbow Valley, etc.) is Tyler’s co-star and none other than the great Lon Chaney Jr. is the villain of the piece. Also from 1937 is director S. Roy Luby’s The Red Rope, starring Bob Steele as a cowboy that is targeted for murder, but manages to turn the tables in such a way that the hired gun, Rattler Haynes (Lew Meehan) goes after the man who hired him instead. Talk about “Western justice” … Lois January (The Wizard of Oz, Rogue of the Range, One Rainy Afternoon, etc.) co-stars as Steele’s bride-to-be. 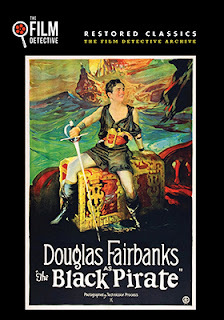 Also getting a new film restoration is the 1926 silent film, The Black Pirate, starring Douglas Fairbanks. On the film noir front, director Bryon Haskin’s summer of 1949 thriller, Too Late For Tears, starring Lizabeth Scott and Dan Duryea. 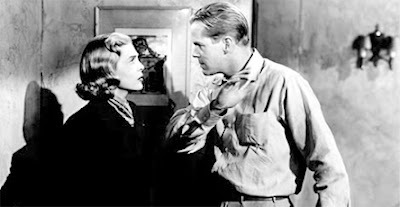 When a payoff of $60,000 is mistakenly dumped into the hands of Lizabeth Scott it sets in motion a wild and deadly ride as the real owner, Dan Duryea, comes looking for what belongs to him. She will do anything to keep it — including murder — and he will do what is necessary to get it back … and MURDER is his business! A sweet little murder mystery, director Elmer Clifton’s 1941 film release of City of Missing Girls, is also include in the Film Detective’s Oct. 4 DVD restoration mix. The Crescent School of Fine Arts, run by King Peterson (Philip Van Zandt), is nothing but a front for a white-slavery operation … Nora Page (Astrid Allwyn) is hot on the story, but what she finds will end up breaking her heart! Other product offerings in the mix include: Battle of San Pietro, Born to Fight, Breakfast in Hollywood, Night at the Follies and The Road to Hollywood. Ruthless Films, with sales and distribution support provided by MVD Entertainment Group, will deliver laughs aplenty on Oct. 11 with the Dove Family Approved DVD debut of The Funny Life of Pets. Studios can spend tens of millions of dollars on state of the art CGI and special effects to arrive at exactly the same place that Evan Tramel has with his hilarious collection of live pet antics. 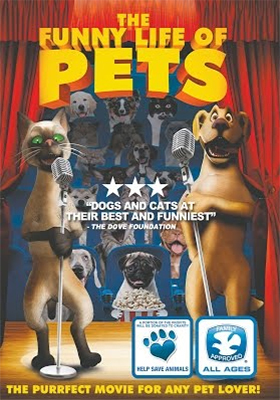 The Funny Life of Pets is a 90-minute compilation of four-legged silliness —unscripted performances by just every day household pets — that is hosted by the animated cat and dog team of Catnip Everdeen and Ryan Fleacrest. Kids can literally watch the fun over and over … and over again. The strangest film of the year — hand’s down; no arguments with this one — is Men & Chicken, the Danish-language import from Oscar-winning filmmaker Anders Thomas Jensen. It will be a getting a Blu-ray/DVD Combo Pack release on Oct. 25 from Drafthouse Films, with MVD Entertainment Group providing domestic sales and distribution support. The ARR is a leisurely 186 days and domestic box office receipts from the film’s limited arthouse showcase were $30,127. Gabriel (David Dencik) and Elias are (Mads Mikkelsen) loveless brothers who discover that they, at their father’s death, are not full brothers afterall, but half-brothers (apparently dear old dad got around). So much for that … brothers, half-brothers, what does it matter if they can’t stand each other! Ah, but it turns out that Gabriel and Elias have other siblings that their father has neglected to inform either of them of. And they too are in Denmark. Now if you are either Gabriel or Elias, and have your wits about you, you are wise enough to let “sleeping Danish dogs lie.” But then we wouldn’t have much of a story, would we? The feuding brothers, and this where Jensen’s film goes off into the realm of “strange,” go in search of their siblings (a trio of DNA-challenged half-wits). What they find takes Men & Chicken into the world of Fellini and David Lynch … they, the trio, reside in an asylum of their own making where strict rules of conduct are religiously adhered to! 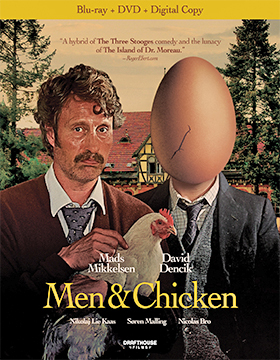 Men & Chicken is presented in Danish with English subtitles. You have to ask yourself the question: “Why don’t we see Molly Shannon in bigger movies?” She made some really terrific comedies back in the late ‘90s, deed yeoman’s work for a decade and a half on Saturday Night Live and has done a ton of comedy series roles, but the big films don’t appear to be part of her work-mix. The reason this question about Molly Shannon springs to mind is directly related to the news from Wolfe this past week that the DVD debut of writer/director Chris Kelly’s Other People will take place on Dec. 6. 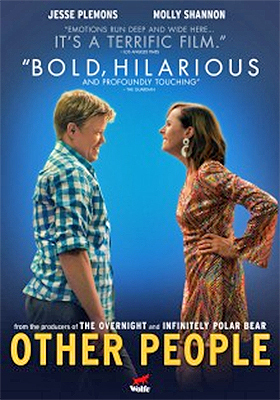 Molly Shannon co-stars with Jesse Plemons (as Landry in the Friday Night Lights television series, plus such films as Bridge of Spies, Black Mass, Battleship, etc.) and she is nothing short of sensational. 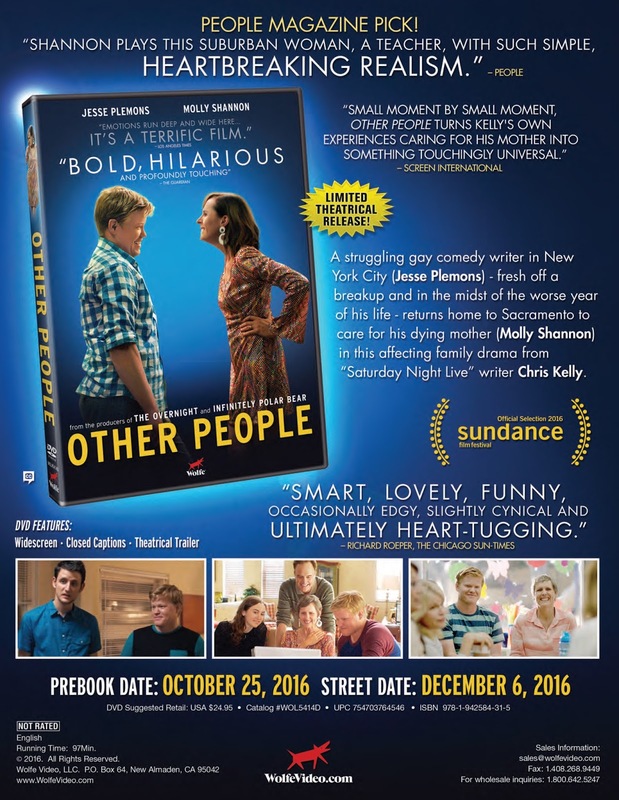 Other People, an indie film production to be sure, had its film debut at Sundance earlier this year, hit the road to work the festival circuit and has been given a limited theatrical run (which continues in selected cities). The ARR, for the record, is 88 days. She plays against type, but her humor and comic talents show through. Plemons plays her son, he’s a comedy writer, his personal life is in disarray and to make matters worse, his mom is dying of cancer. He returns to the family home in Sacramento to help care for his mother and this is where the bulk of the story takes place. The first thing you have to get out of your mind is that Other People is one of those maudlin “disease of the week” telefilms that seem to populate certain cable channels. It’s actually a very personal film from Saturday Night Live writer Chris Kelly (five Emmy nominations for his work) — hence the connection with Molly Shannon — who is making his directorial debut here. He worked though his own mother’s illness and death with a running blog and subsequently turned the experience into a working script and finally the finished film. The script is solid, the dialog is at once both hilarious and moving and the interaction between Molly Shannon and Jesse Plemons makes this a film that you are going to want to see this December on DVD. Yes, November and December are months that are loaded with all the big studio releases from the summer, but find the time for Wolfe’s Other People … you will not be disappointed in what Chris Kelly has delivered here. And, you will, ponder the question, “why don’t we see Molly Shannon cast in more films like this?” Maybe they — they, meaning the “Hollywood” studios — don’t take her seriously? Other People puts that nonsense to rest. Artsploitation Films has picked Nov. 15 as the DVD debut date for writer/director Byron C. Miller’s cat-and-mouse horror thriller, The Anatomy of Monsters. You just have to love a film where no one behaves according to plan. It’s like when the spider says to the fly, “come hither,” and the fly delightfully agrees … because the fly likes to feast on the flesh of spiders! Andrew (Jesse Lee Keeter — The Gamers: Hands of Fate, Brides to Be), is the sort of fellow that Tom Waits would sing songs about, a late-night denizen who finds bars and dark places more palatable than a sunny day at the beach; a barbecue with his chums. 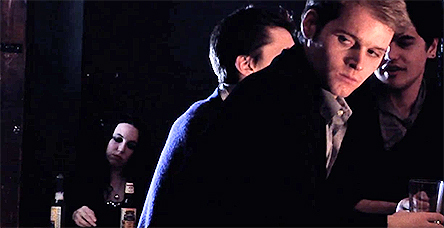 We are introduced to him at a bar one night where he gives off a creepy vibe — a better-dressed Norman Bates, but Norman just the same — that no sane woman would find attractive. But surprise, surprise a sweetie by the name of Sarah (Tabitha Bastien — as Gina in Collin Joseph Neal’s Run, Hide, Run), warms to his advances and agrees to a late night tryst, not back at his place (or hers), but at a nearby motel; dingy, creepy to be sure. There’s your set-up. 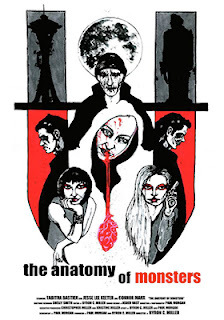 A Jack-the-Ripper type picks up a pretty girl at a bar and lures her to a place where he can take his time to do unspeakable things to her … she will not see the dawn. But what happens to that “set-up” if the would-be victim is actually on the prowl herself for a late-night bit of blood-letting. Once our boy Andrew has Sarah in the room and properly restrained the fun begins. Fellow serial killers doing a dance of the macabre as filmmaker Byron C. Miller uses a series of flashbacks to create the backstories for both the spider and the fly … and believe me this little “spider” has picked up one nasty fly!